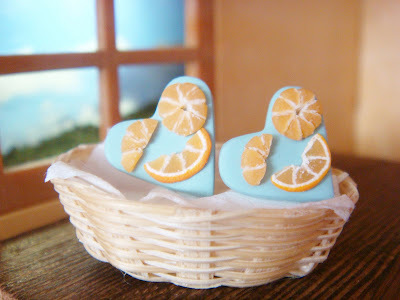 I've rearranged miniature orange segments on a heart-shaped Tiffany blue base. and it's supposed to look like a winking smiley-face. The heart-shaped base measures at 1.4cm across at its widest. and the combination just pops on ears! -sticks tongue out at the boyfriend. haha wanyu!! :) yayy so glad to see you here. :) *whispers back* i think so tooo. *skulks into the dark alley. oh man babu !! so you're setting a stall on the 19th?? CONGRATSSSS !!! (: i'm really happy for you ! but but i don't think i'll be able to make it. ): cos i'm arriving on the 20th. BOO. i'm still trying to get an earlier flight though. i'll let you know ! but GO YOU !! !